Divisoria Mall be prepared for walking, haggling and bargains. Divisoria Mall if you enjoy the haggle then Divi is for you! First word which comes to mind when you hear of Divisoria Mall is BARGAIN! 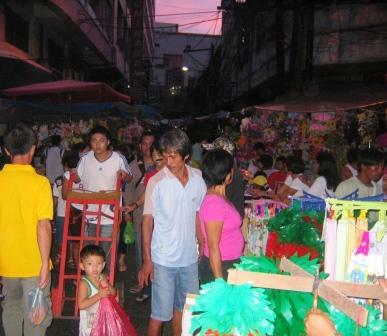 “Divi” as locals call it, has long been the Philippines’ Chatuchak market of Bangkok and some more. Originally a nest of Chinese merchants selling their goods outside of Intramuros in the 1800’s, it has come a long way from what it was, but still not losing its main appeal, which it is most known for, the best value for your hard-earned, well, spending peso. Divisoria Mall is truly the best value shopping in Manila. En route, you can easily get lost in all the buzz of tiangges (Filipino term for bargain stalls) and merchant goods lined up in its alley ways. You can find almost everything, from clothing basics, shoes, bags, accessories, to food, vegetables, and even kitchen utensils. The streets and alley ways are filled with commuter jeeps, private cars, and the occasional kalesa (horse-drawn carriage), oh and don't forget the abundance of human traffic. What can I buy at Divisoria Mall? 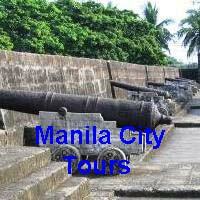 If you are coming from the main Juan Luna Street, you will be able to see Divisoria Mall. It is a three-storey shopping mall and market. Almost everything mentioned above can be found and bought here, along with office supplies, stationery, gardening tools, toys, etc. the list goes on, but I wll leave all the searching to you. 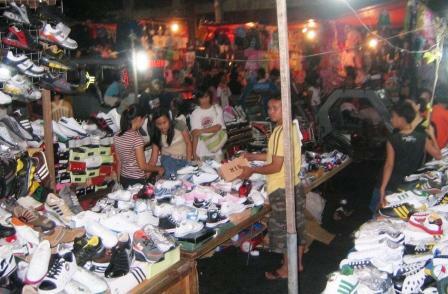 It also has a wet market in the basement if you would like to buy well priced fresh goods to the shopping list. Walk a little down its alleyways (or ask around if you already suspect your lost) and Tabora St. is sure to greet you. Here you can find any crafty artsy-fartsy things, with a plethora of beads, textiles, ribbons, gift wrappers and other Christmas-y thingamajigs, sold at low, low bargain prices. This would also be a good place to go if you are looking to have a wedding or birthday, invitations and banners can be sourced here and made here. Divisoria Market sure is a worthy place to canvass prices if you have a limited budget. A block away is the 168 Mall. Bargain shopping here offers a truly different experience. 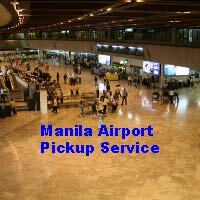 Only a year old and conveniently located in the heart of Divisoria, three entrances from Soler, Sta. Elena and Felipe Streets, pave the way to this bargain market hub’s latest inclusion. Ample parking outside provides a reassuringly well-secured space for those non-public transport commuters, with guards in civilian clothes roving daily to smooth the 168 Mall's operations. 168 Mall welcomes a fresh offering to discerning shoppers from all walks of life. Composed of Mall 1 and Mall 2, the hallways are surprisingly well lit. The stalls are all tidy and in their designated spots, sections with visible signage suspended from the ceiling provides direction so no one has to worry about getting lost. To generic designer items are all a haggle away to any savvy shopper looking for an arguably cheaper option from another famous Manila tiangge mall, Greenhills. 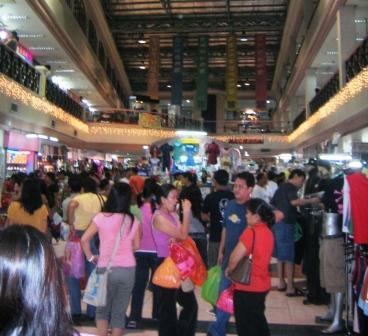 Tips for shopping at Divisoria Mall. Things to keep in mind when shopping at either Divi or 168 Mall. Buy in bulk if you can, Divisoria offers a wide range of wholesale priced items. Learn the art of haggling, your money sure can go a long way. Arm yourself with cash, as credit cards are useless here. Dress simply and comfortably, it would also be very wise to use a small body/belt bag where you can stash your hard earned cash to keep it away from keen pickpockets. So with lots of bargain-hunting hours to kill, the energy and spending nous to go with it, see y’all in Divi!